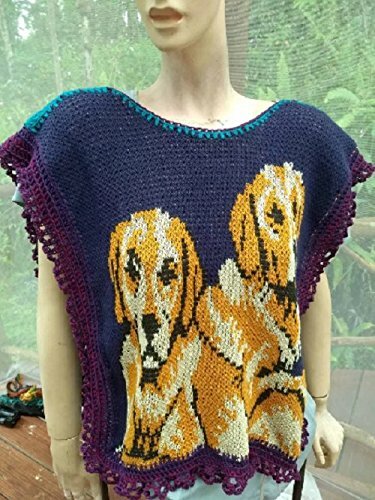 One size poncho cape with two cozy dogs on the front panel. Sleeveless sweater in cotton knit and acrylic crochet and edges. This has open sides and can easily be worn over something . Wash luke warm, dry flat or dry clean. If you have any questions about this product by NellieLaan, contact us by completing and submitting the form below. If you are looking for a specif part number, please include it with your message.